Our commitment to provide each Guest with the perfect Guest Experience has been recognized with 12 Gold Key Awards, 18 Executive Choice Awards, 18 Mobil Four Star Resort Award's and 32 AAA Four Diamond Resort Awards. Accommodations: Our 287 Guest Rooms and Guest Suites are newly renovated with upgrades throughout including: 42" Flat-Screen TVs, Wireless Internet, Large Work Space, Private Patios or Balconies. Meetings & Groups: Our 45,000 square-feet of flexible Meeting Space provides you with a selection of venues that are ideal for an Intimate Gathering for 10 or a Grand Event for 1000. Request a Proposal for your next Meeting or Social Event. Championship Golf: Our 18-Hole Championship Golf Course is Resort Golf at its best and we've hosted both a PGA and LPGA event. Perhaps best of all, the first Tee is just steps from our lobby - so you're hitting the links within minutes of checking in. 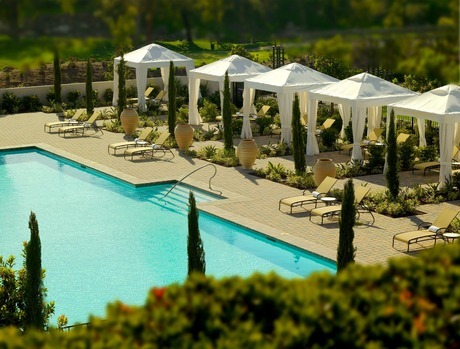 The Spa: Our newly remodeled Spa at Rancho Bernardo Inn Golf Resort & Spa is a lush, Garden Oasis - complete with Temperature-Controlled, Outdoor-Treatment Casitas, Outdoor Fireplaces, relaxing Water Features and Sunning Lounges. Dining: Enjoy the Award-Winning Cuisine at El Bizcocho one of San Diego's Top Rated Restaurants or Veranda for a more casual Dining Experience. Cafe Granada: Now Open Just off the Lobby. Your morning StarbucksTM, a quick breakfast or lunch on the go is just a few steps away. House-Made Pastries Baked Fresh Daily | Fresh, Crisp Salads | Grab-and-Go Sandwiches | Business Center with High-Speed Internet. 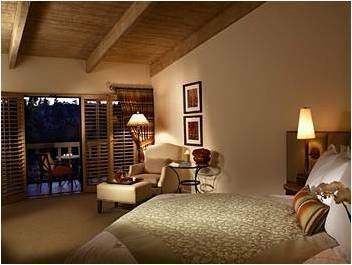 Rancho Bernardo Inn is an ideal San Diego lodging choice for your trip to California. 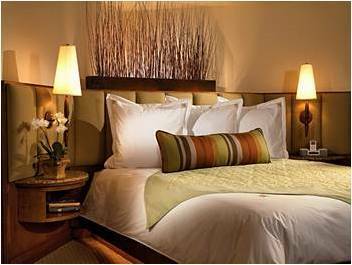 With numerous amenities for guests such as room service, 24 hour front desk, restaurant, you will wake up at Rancho Bernardo Inn feeling ready to go every day for your time in San Diego. 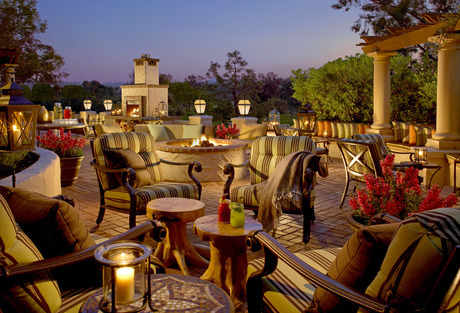 Don’t let this amazing reservation opportunity pass you by, book your stay at Rancho Bernardo Inn today to make the most of your time in San Diego, California.